In the last days of the Legislative session, the bill that lays the foundation for a single-payer health care system in Vermont, H. 202, passed. The bill establishes a five-person board to oversee every aspect of health care: setting a total hospital budget for the state, regulating private insurance rates and drafting a plan to contain costs that includes replacing the current fee-for-service payment system. 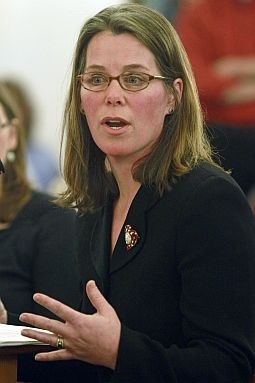 Friday on Vermont Edition, we talk with Governor Peter Shumlin’s health care policy adviser, Anya Rader Wallack, about the strategy to focus on cost containment for the next two years, before attempting to implement a single-payer system. The governor’s goal is for the new health care board to examine and contain the underlying cost drivers in health care so the cost of care has a predictable and stable trend line going forward. Also in the program, VPR’s John Dillon explains several environmental bills that passed the Legislature, a few that didn’t make it through.